There is a growing demand from society to cover the costs for nature conservation in more efficient and sustainable ways. Meanwhile, there is also a demand for new jobs in the often depopulating agricultural regions in Europe. To meet these demands, new education is needed to help develop a new breed of entrepreneurs who can start up and run new businesses based around wildlife, nature reserves and other wild or natural areas. Matthew McLuckie, Enterprise Development Manager at Rewilding Europe spoke about the development of ‘conservation enterprises’ and the use of ‘conservation covenants’ in Europe, during his keynote speech at the final symposium of the project ‘KIGO European Nature Entrepreneur’ at Knowledge Estate Larenstein in June in Velp, the Netherlands. McLuckie defined ‘conservation enterprises’ as commercial activities generating economic and social benefits in ways that help meet conservation objectives. McLuckie shared his insights on nature entrepreneurship in Africa and Europe based on his experiences at Conservation Capital and Rewilding Europe and underlined the opportunities in Europe for eco-tourism and wildlife watching in particular. “People are prepared to pay a lot of money to watch wildlife in Europe.” McLuckie explicates: “at the isle of Mull white-tailed eagle watching attracts every year up to £5 million of tourist spend on Mull”. 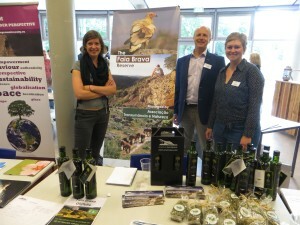 The KIGO-project (Knowledge and Innovation in Green education) funded by the Dutch Ministry of Economic Affairs and was a collaboration between Rewilding Europe and a number of educational institutes in The Netherlands (Helicon Opleidingen, Van Hall Larenstein University of Applied Sciences, and Wageningen University). 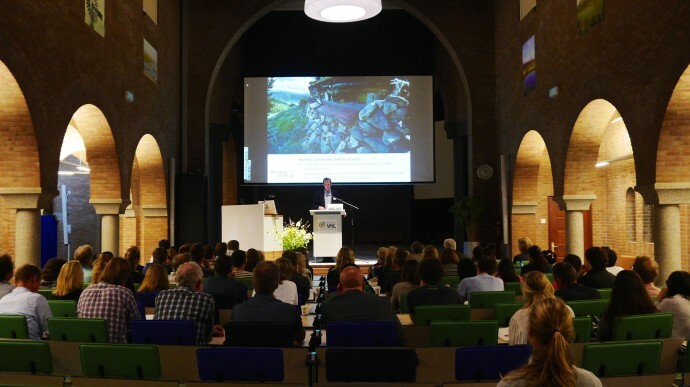 During the final symposium, several ideas from (potential) nature entrepreneurs were showcased and several of them received mini-business consultancy from Matthew McLuckie and Steven de Bie (the latter from Conservation Consultancy). The Western Iberia rewilding area on the border of Western Spain and North-Eastern Portugal was chosen as the project’s focus area to experiment with educational activities like the Erasmus Intensive Programme on European Wilderness Entrepreneurship and research on the topic of nature entrepreneurship. Collaboration with the local partners of Rewilding Europe in Western Iberia – Fundación Naturaleza y Hombre (FNYH) in Spain and Associação Transumância en Natureza (ATN) in Portugal – was vital to carry out these educational activities and research projects. The local NGO’s hosted bachelor and master students to carry out thesis work and internship projects about mapping the landownership around the Portuguese nature reserve Faia Brava, the negotiation of space and the involvement of locals with Faia Brava and ATN, and stakeholder involvement in FNYH. Western Iberia was also featured in an educational documentary film produced in an additional WURKS project NatureToGo, in which a diversity of stakeholders talk about how they see the future for Western Iberia. At the start of the project, Diego Benito from FNYH was a speaker at a KIGO ENE co-hosted symposium in 2012 entitled “The Business of Nature Conservation. What Europe can learn from Africa”. The Wageningen University reported on this symposium in their student and staff magazine Resource on April 5, 2012 and ATN was represented at the final symposium by a Dutch board member and volunteers at the network marketplace. During these three years of the KIGO-project, many educational activities have been developed to help provide this new breed of conservationists with a set of entrepreneurial skills. There are still many challenges to overcome, but one thing is clear; there is a demand for this kind of entrepreneur. Even though the project has almost ended, the curricula that have been developed at VHL University of Applied Sciences, Wageningen University and Helicon Opleidingen will continue. The partners of the KIGO-project European Nature Entrepreneur have the ambition to seek European funds to further internationalise the curricula and collaborative research on European nature entrepreneurship. More links and outputs of the project European Nature Entrepreneur can be found at the website of the final symposium which will be updated with symposium pictures and a report soon.